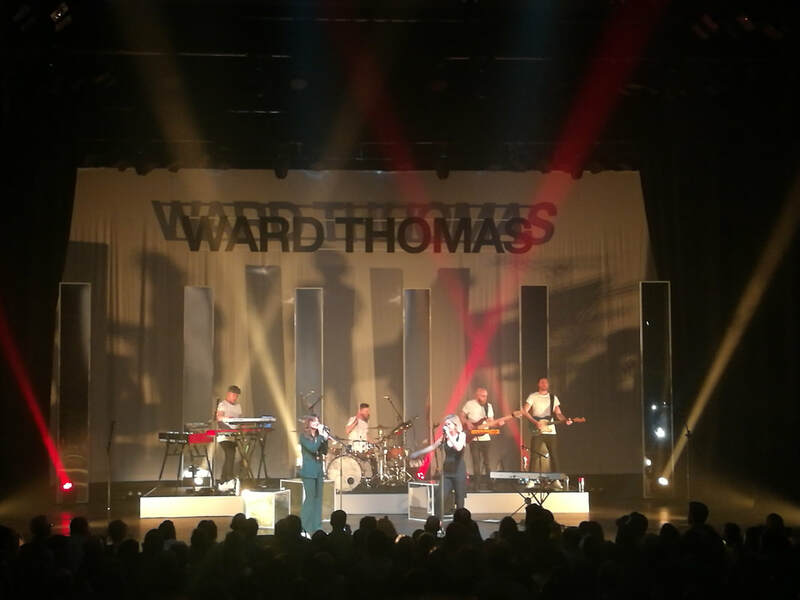 With some of Nashville’s biggest names heading to the UK in just over a weeks times, the rise of homegrown talent was clear to be seen in Guildford last night as Ward Thomas brought the headline Restless Minds tour to their hometown, having grown up just a few miles away in the rural village of Liss. Just a few years against, the idea of a UK country music act playing a venue with a capacity of nearly 2000 people was unheard of. Even more so, the thought of there hardly being a seat left in the house. 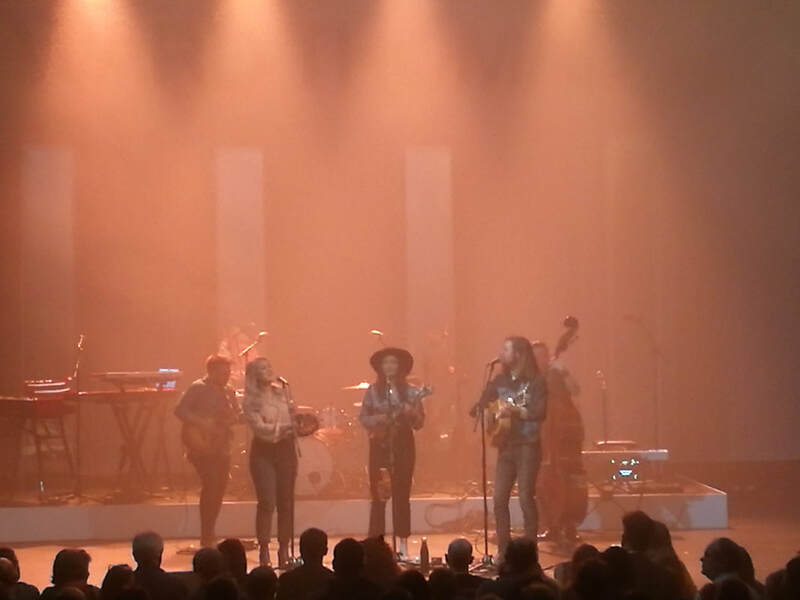 As the evenings support act, The Wandering Hearts, took the stage, the rise of UK country music was clear to be seen. At a venue where the bars are all outside the main auditorium, the crowds flowed through the doors to the seats and standing section to all support a new look act. Without an inconsiderate concert talker in sight, the now trio of The Wandering Hearts continued to show why they are being considered as one of the next big UK country acts, hot on the heels of Ward Thomas. A thirty minute set allowed for them to showcase tracks from their debut Wild Silence album as well as tracks from the extended Deluxe version. For those in attendance, if they hadn’t seen The Wandering Hearts before you would not have even known that until just a few weeks ago there had been four members as the set went perfectly. As 9 o’clock struck, the light went out ahead of one of the more unique entrances to the stage. With smiles on their faces (which didn’t fade all night), strobe lighting came into effect as with the backing of a full band the local twin sisters took to the stage for an almost rock style version of Lie Like Me. Once the lights came on and the show got underway, the girls would perform a mix of tracks from the latest album, released at the start of the month, and their number one Cartwheel album. During the set, the band left the stage for Cartwheels and No Fooling Me to leave the girls to perform acoustically. One of the highlights of the night has to be the performance of I Believe In You with the whole crowd singing and clapping along. With 11 dates left on this tour, the only challenge the girls face is to keep up the same level of energy on this track every night!! As the evening was coming to a close, the only disappointing part of the evening for me was the performance of No Filter. On the album it came across as such a unique track about the social media world that we live in today with some wonderful lyrics. On this occasion, it just didn’t come across in the same way with the band almost drowning out the lyrics. Personally, this would have been a track I’d have expected to be performed during an acoustic set or with just a light amount of backing from the band. As the girls left the stage following a two track encore to a standing ovation, it was clear to see they had won over the hearts of their local fans. The smiles never left the faces of the girls or those in attendance as they still probably continue to wonder how is this happening to them. 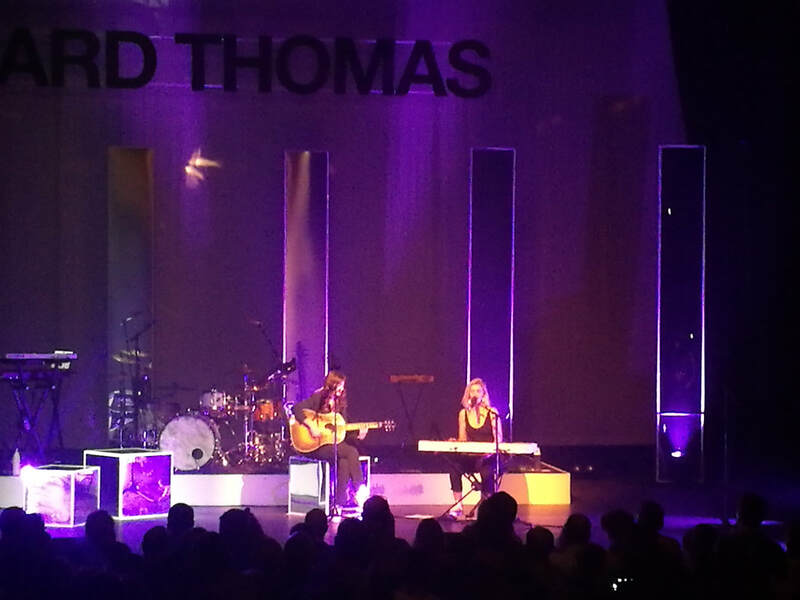 There are still plenty of opportunities to Ward Thomas on this tour across the country and it certainly is an excellent show as they continue their rise and continue to prove that the UK is just as capable of producing its own talent in the world of country music and we don’t always need to rely on artists from Nashville jumping on a plane.